Item # 294262 Stash Points: 5,499 (?) This is the number of points you get in The Zumiez Stash for purchasing this item. Stash points are redeemable for exclusive rewards only available to Zumiez Stash members. To redeem your points check out the rewards catalog on thestash.zumiez.com. 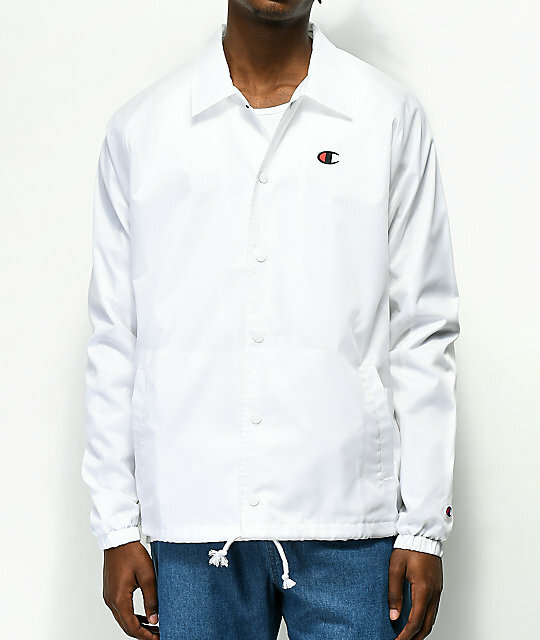 A versatile addition to any wardrobe, Champion's West White Coaches Jacket offers a classic coaches jacket silhouette with minimal logo details. 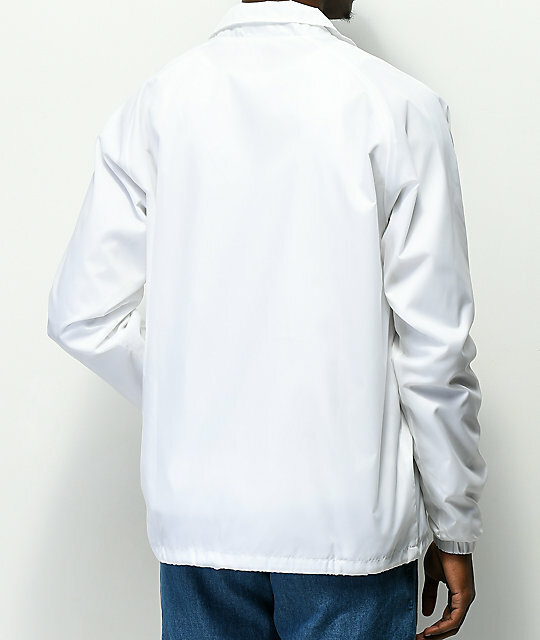 The garment comes fit with a traditional fold down collar, two front hand slash pockets and a convenient adjustable drawstring bottom hem. 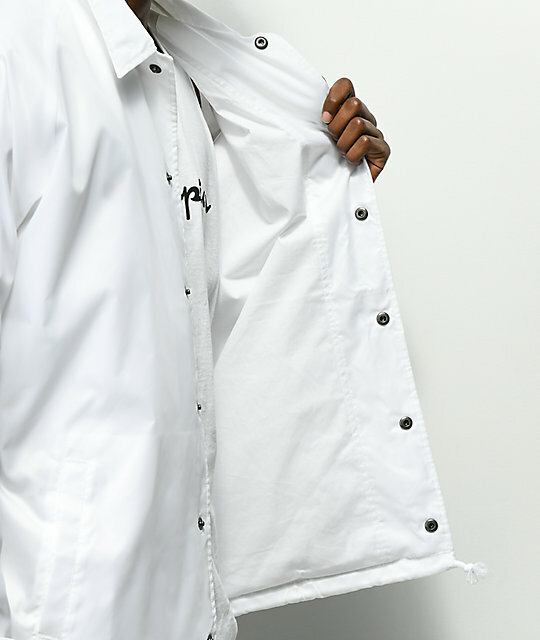 Lightweight and overall simple, the West is a great go-to piece of outerwear for daily layering. 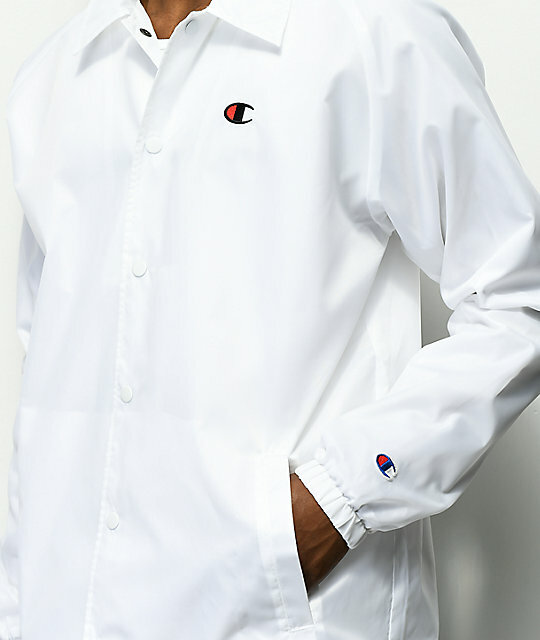 West White Coaches Jacket from Champion. Matching logo appliques on left chest and left wrist.